There are currently 236 people online. 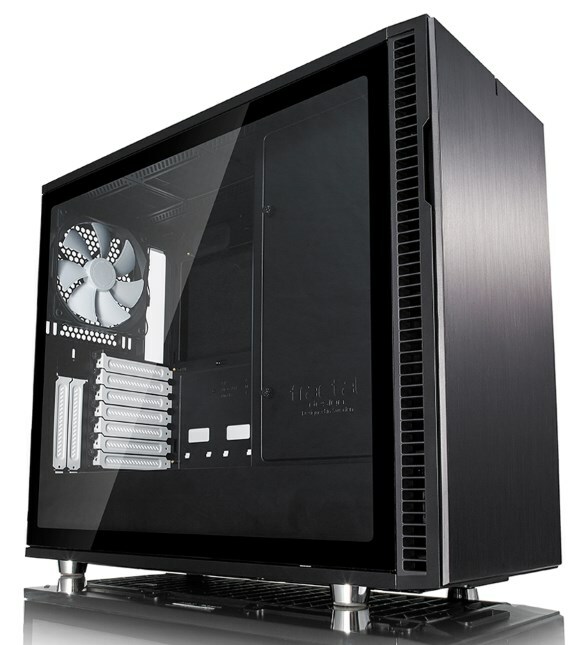 Fractal Design introduces an updated version of its Define R6 case that adds USB 3.1 Type-C support; the Fractal Design Define R6 USB-C. Additionally, the company also introduces new accessories, including a tempered glass side panel as well as a HD Drive Tray and SSD Bracket Kit. Fractal Design proudly announces the expansion of the Define R6 line with new USB C versions and a number of accessories including seamless tempered glass side panels and drive bracket dual packs, now available separately to even further extend the capabilities of the Define R6. Seamless tempered glass and sound dampened steel panels encase a fully redesigned interior with more storage capability than ever before. USB 3.1 Gen 2 Type-C front I/O supports Fast Charging plus up to 10Gbps transfer speeds, and with nine fan mounts, included PWM fan hub, and 420mm radiator support, the R6 is the perfect platform for building your dream water loop. Improved third generation ModuVent™ technology allows an effortless transition from metal-clad sound dampened top panel to filtered high airflow multi-fan ventilation. Expanding on the timeless, elegant form and silent modular function that brought so much success to its predecessors, the Define R6 offers the most demanding hardware enthusiast a solid foundation and flexible framework with limitless potential. Add a layer of refinement to your Define R6 with an upgrade to tempered glass. The Fractal Design TG panel upgrade kit lets you equip one or both sides of your Define R6 with a seamless, scratch-resistant tempered glass panel for a sleek, super-premium look.